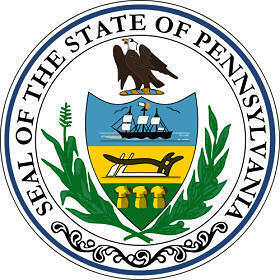 The Pennsylvania state seal identifies government buildings and officials and is a centerpiece for the Pennsylvania state flag. The symbolism, history and emblems of the seal are described in this article with fast facts and information. The central image of the shield contains a ship under full sail, a plow, and three sheaves of wheat. 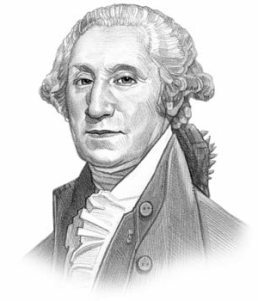 The Pennsylvania seal is kept and used as required by the Constitution and laws of the state. This is an early flyer depicting the 1876 design of the seal surrounded by the initials of the states that had achieved statehood. The rearing horses are depicted on this image. In heraldry the term 'Horses forcené' refers to the position of the horse when rearing or standing on his hind legs. This symbolizes readiness to serve country. The pictures on either side of the shield reflect the main industries - agriculture, mining and shipping.